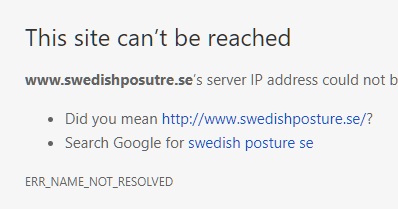 I have a website: www.swedishposutre.se. I would like to add blocks with full widht images, then add text plus button on top of the image. How do I do that? Also, how do I add a block with a full widht video, and also make it bigger? I succeeeded adding a background video to a block, but it was so small and thin, how to make it big? We use a revolution slider, but in mobile it is so small, doesn't feel responsive at all! And if I change settings and the image becomes bigger, then the text is messed up and not everything is visible. so thanks for telling me what settings I need to make the full widht revolution slider responsive and nice in mobile. Or should I use something else on top? Thanks for writing in. Your site could not be accessed. Please contact your host if the server is down. Regarding the image with text and button, you need to use your image as a section background and then add a Text and Button element to your section. About the video, add a Gap element to your section in order to fill the space. Please see our Knowledge Base to learn how to use the elements and also check out other tutorials. Regarding the slider, there are a lot of variables you can or should use depending on your design so it would be tricky to tell you the specific settings. It would be best that you watch this tutorial from ThemePunch. I'd also just wanted to inform you that though I've answered mixed topics here, it won't always be the case. Mixed topics often leads to confusion down the road so I'd kindly ask for you to create a separate thread for each topic. The response would be faster that way and we could focus on one topic at a time thus increasing accuracy.